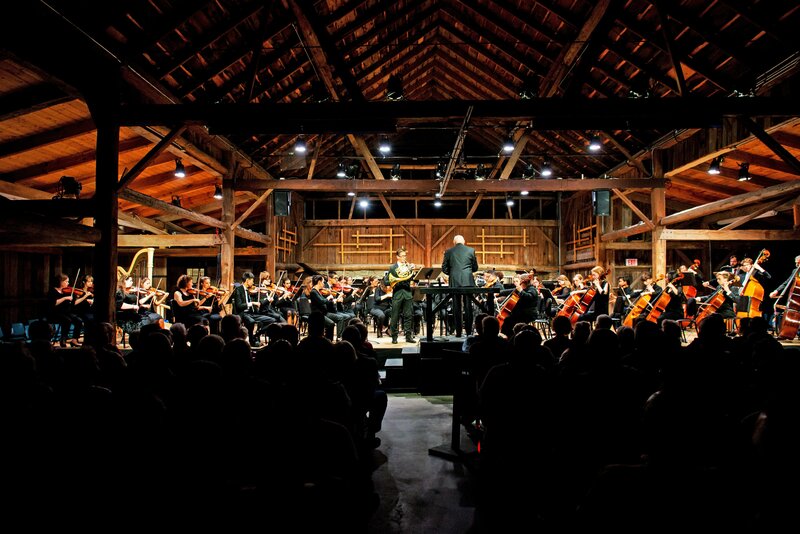 Birch Creek Music Performance Center is excited to announce that tickets for the 2019 summer concert season are available for purchase at birchcreek.org/tickets. On June 20, the Percussion & Steel Band session will open the 2019 Birch Creek concert season with “Beginnings: A Celebration of Music.” Six more Percussion & Steel Band concerts will follow from June 21-29, showcasing performances by faculty and students under Program Director Dan Moore, Professor of Music and Director of Percussion at the University of Iowa. Birch Creek’s Percussion performances feature a diverserangeof styles, from Caribbean grooves with internationally known Steel Pan virtuoso Liam Teague, to percussive jazz, authentic world music, original compositions, and more. Symphony session concerts, under Program Director Ricardo Castañeda and Conductor Brian Groner, will be presented from July 3-6 and July 11-13. The orchestra will perform many works, including works by Beethoven, Dvorák and Poulenc, with the Birch Creek debut of the Peter Nehlsen Double Keyboard Piano on July 11-12. The Burton Concerto Competition winners will be featured on the Symphony session’s opening night on July 3. Special events include Birch Creek’s Annual Independence Day Concert, “Proud Americans” on Thursday, July 4 at 4:00 p.m. with a pie and ice cream social before the event as well as free entry for children under 11. Big Band Jazzconcerts will be performed during two sessions from July 17-20, 24-27 and July 31-August 3 and August 7-10. Program Director Jeff Campbell and the Birch Creek Academy Jazz Orchestra return for sixteen nights of the best, most authentic big band jazz in Door County, with faculty performers from all across the country playing favorites by Ellington, Basie, Miller and more. Students will be featured in pre-show combo performances and big band numbers as well. Vocalists Katie Ernst and Mardra Thomas will perform during the Jazz I and Jazz II sessions respectively. Summer concerts begin at 7:30 p.m. with pre-show music at 7:00 p.m., unless otherwise noted. Ticket Prices are $29 adults, $10 students and $6 children, with premium seating available for $34.“3/4 Time” promotion—buy 3 concert tickets and get a 4th ticket free. Group rates available for parties of 15 or more. Prelude music is held 30-45 minutes before every performance in the courtyard gazebo or in Juniper Hall. For a full concert schedule and nightly features, visit birchcreek.org/tickets. 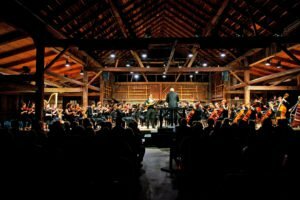 Tickets can also be ordered by calling the ticket office at 920-868-3763, between Monday–Thursday, 9 a.m. – 4 p.m., and Friday, 9 a.m. – 2 p.m.
Birch Creek Music Performance Center is Door County’s Residential Summer Music Academy in Egg Harbor, WI, for advanced young musicians. With a performance emphasis, students are taught by nationally known performers and educators during the day and perform alongside them in concerts at night. Four sessions focus on Percussion & Steel Band, Symphony, and Big Band Jazz.